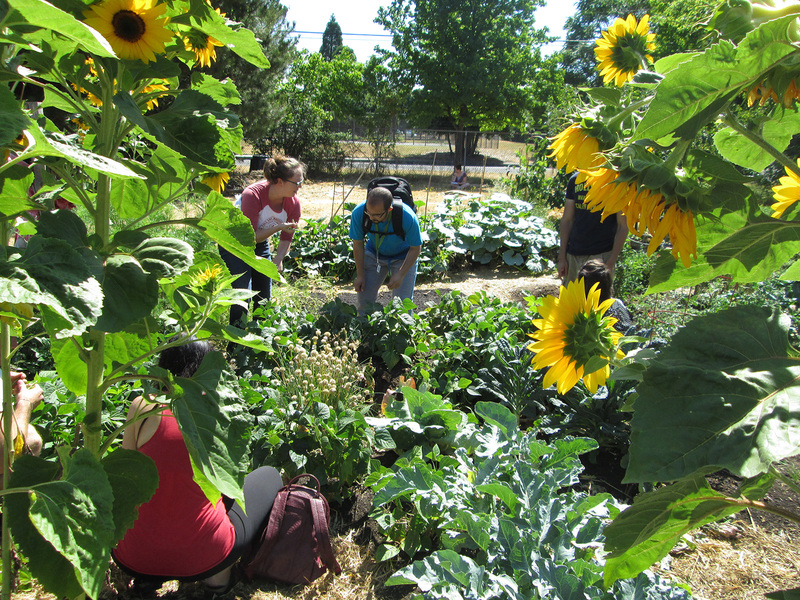 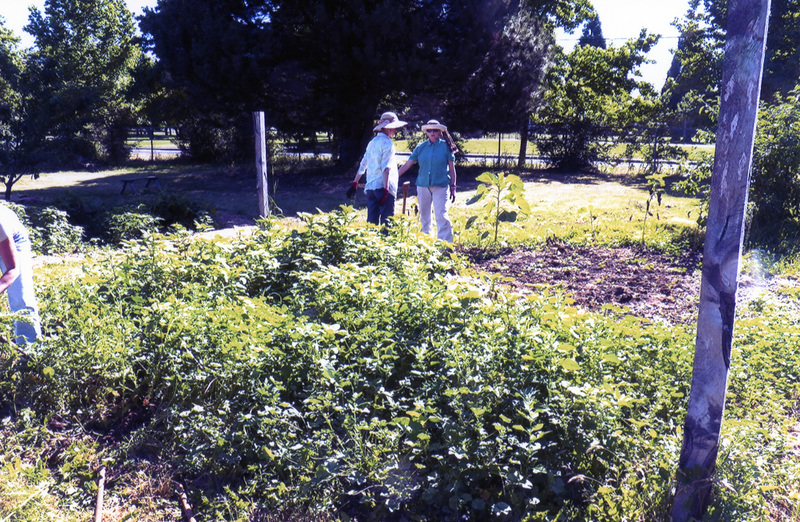 In 2013, Portland State University Learning Gardens, Community Engagement and Sustainability senior capstone students cleared and planted this Permaculture demonstration learning garden. 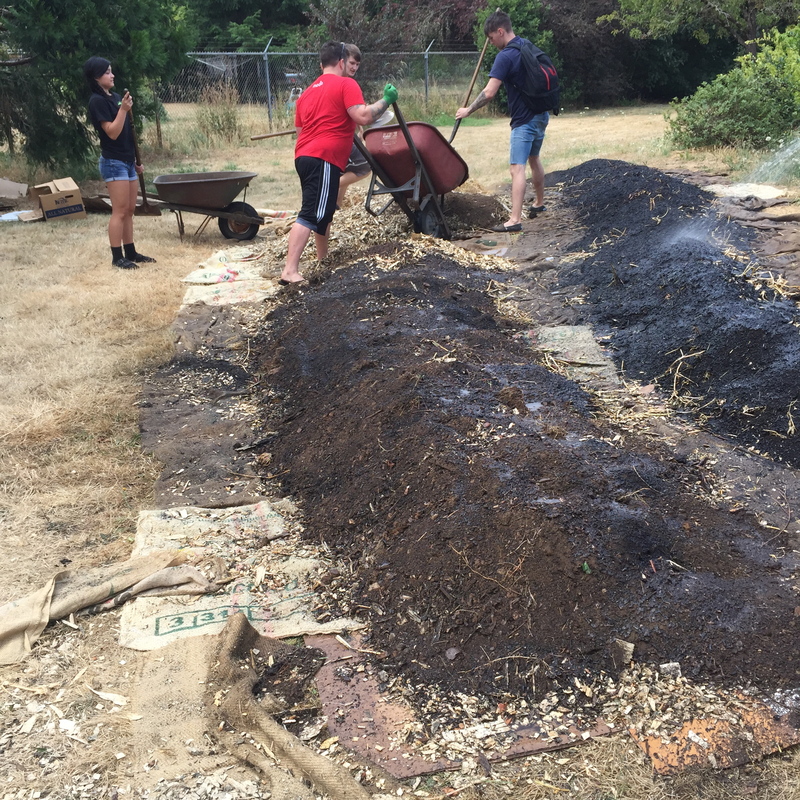 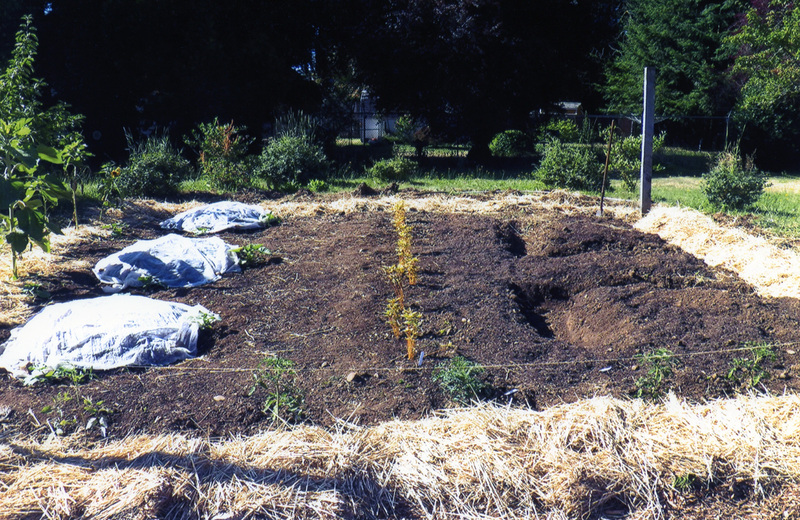 Using sheet mulching, cover cropping, green manures, and by planting a three Sisters plant guild as a means to improve the soil, the students improved the water retention for a drought tolerant permaculture garden. 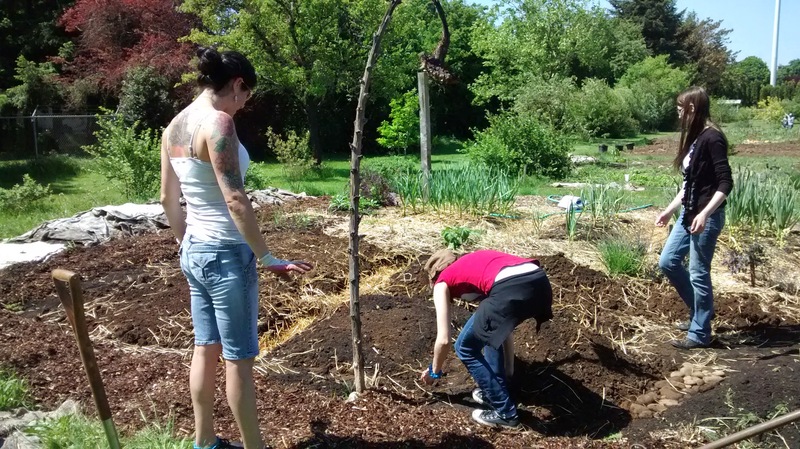 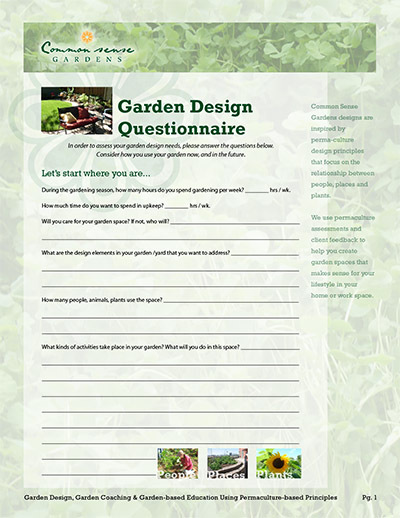 Each season, students design, plant and maintain the garden as part of their senior capstone course which is focused on understanding community food security, community building and sustainability leadership. 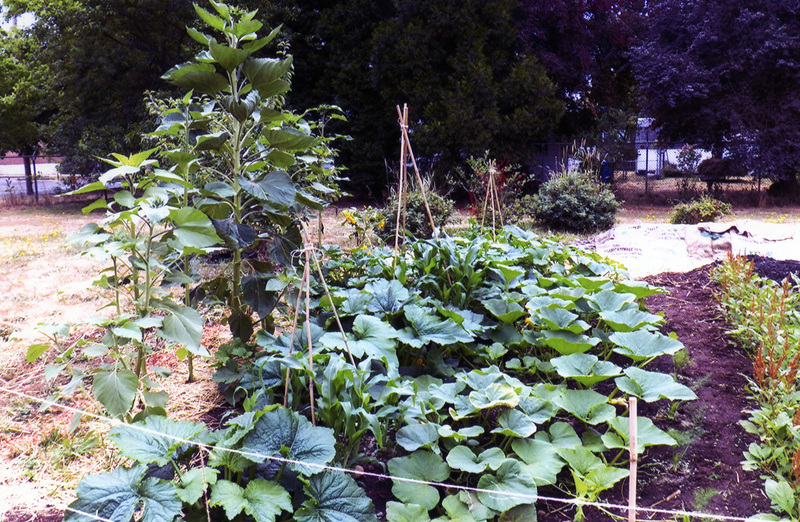 The harvested vegetables are shared among the students, the community garden and Learning Gardens Laboratory, pdx.edu/elp/learning-gardens-laboratory Farmstand. 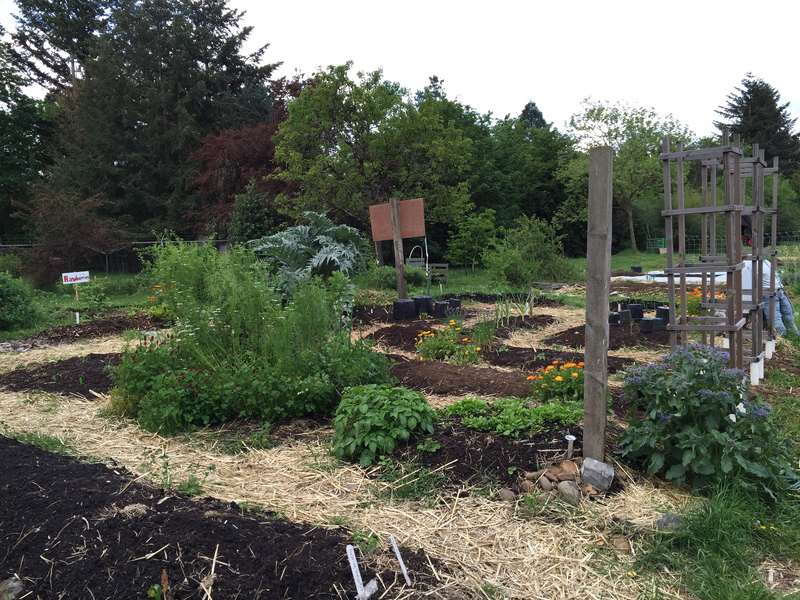 This year will be the capstone student’s 4th year of tending this learning garden.